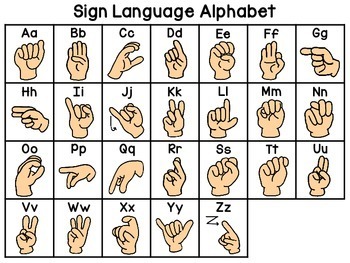 American Sign Language Alphabet Chart for students to reference! Comes in both color and black and white! This is included in the Secret Sign Language Centers Bundle which has a ton of fun centers for practicing sight words, phonics sounds, number words, etc. 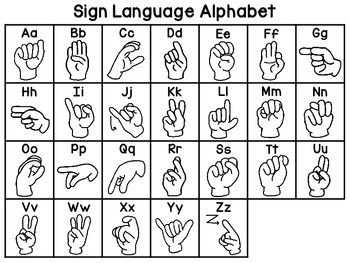 using sign language.